BOMB PROOF® Plate Loaded 4-Way Neck Machine - The BP-23 by Bomb Proof is a commercial quality machine specially designed to strengthen and build the anterior, posterior and lateral muscles of the neck from four different angles. Strengthening the neck muscles with a 4-way neck exerciser can be useful in rehabilitation and is especially effective as a preventative exercise to avoid injury to the neck muscles during sport. The BP-23 plate loaded 4-way neck builder is fabricated from a heavy-duty steel frame to ensure solid stability for any size user using any amount of resistance. The frame offers easy entry and exit and is mindful of space requiring a footprint of only 32 x 28 leaving plenty of room for other equipment. A densely padded seat includes stabilizer handles on either side and rotates to allow 4-way head positioning. The seat also adjusts up and down from 16 to 22 high in 1 increments to conform to all user heights. And dual head rollers are padded using 2 closed cell foam padding with a high density rating. These generously padded rollers keep the user comfortable in any position by providing enough padding that helps disperse the resistance evenly throughout the contact points. 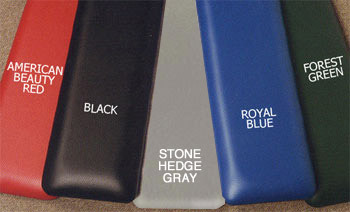 Choose your favorite powder coat and vinyl colors per the drop down menu at no extra cost. Need custom colors to match existing equipment? Call an Ironcompany strength equipment specialist today for availability. Plates and chain NOT included. *Now includes adjustable height head rollers for even better customization.